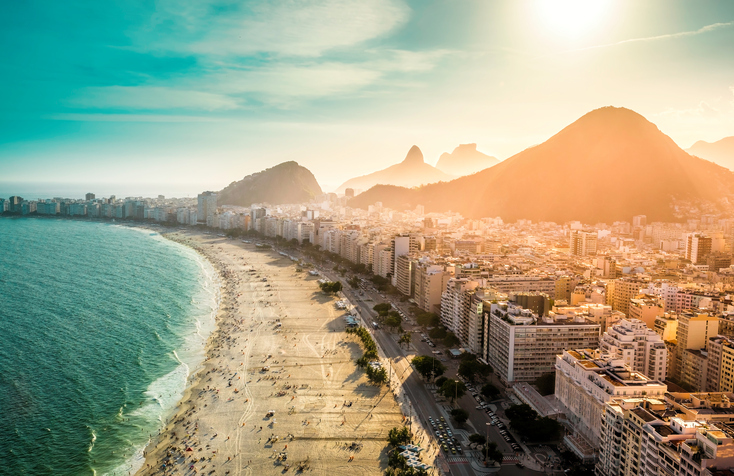 Even amid another bout of political uncertainty, the iShares MSCI Brazil Capped ETF (NYSEArca: EWZ) is up nearly 17% year-to-date and is seen surging off its second-quarter lows. In the second quarter, EWZ slumped as another political scandal rocked Latin America’s largest economy. Brazil’s latest brush with political volatility involves a corruption scandal surrounding President Michel Temer. “Valuations began to deflate after the global financial crisis, but really took a hit during the Brazilian recession. A data set from Siblis Research shows that the cap/GDP of Brazil ratio fell as low as 33% during the market bottom in 2016, and after a partial recovery currently still rests at under 45%,” according to a Seeking Alpha analysis of Brazil and EWZ. Stocks in Brazil are inexpensive based CAPE, price-to-earnings and price-to-book ratios. Importantly, Brazil’s credit rating is not in danger, at least not in the near-term, of being downgraded. “Fitch Ratings has affirmed Brazil’s Long-Term Foreign and Local Currency Issuer Default Ratings (IDRs) at ‘BB’. The Rating Outlook is Negative. The issue ratings on Brazil’s senior unsecured Foreign and Local Currency bonds are also affirmed at ‘BB’. The Country Ceiling is affirmed at ‘BB+’ and the Short-Term Foreign Currency and Local Currency IDRs at ‘B’,” said Fitch in a note out earlier this year.